The Unifor Public Review Board (PRB) is a continuation of a Tribunal that was initially created by the international United Autoworkers at the behest of its then President, Walter Reuther. In 1985, it was adopted by the Canadian Autoworkers Union when it left the international. In 2013, it found its current home in Unifor, the amalgamation of the Canadian Autoworkers Union and the Communications, Energy and Paperworkers Union of Canada. The Unifor Public Review Board is very sad to announce the passing of Chairperson A. Alan Borovoy on 11 May 2015. Alan was a champion of the labour movement and a thoughtful and just adjudicator in his role as Chair of the Public Review Board. In its statement about Alan’s passing Unifor said, “In addition to his leadership with the Canadian Civil Liberties Association [for over forty years] Alan contributed to building many other important organizations, including some in the labour movement. 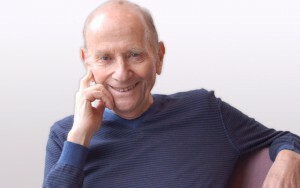 Alan served as the Chair of the CAW Public Review Board [from 1985], which helped ensure the development of the former CAW as a democratic and responsive organization. That work continued with the creation of Unifor, which resulted from the merger of the Canadian Auto Workers and the Communications, Energy and Paperworkers union.